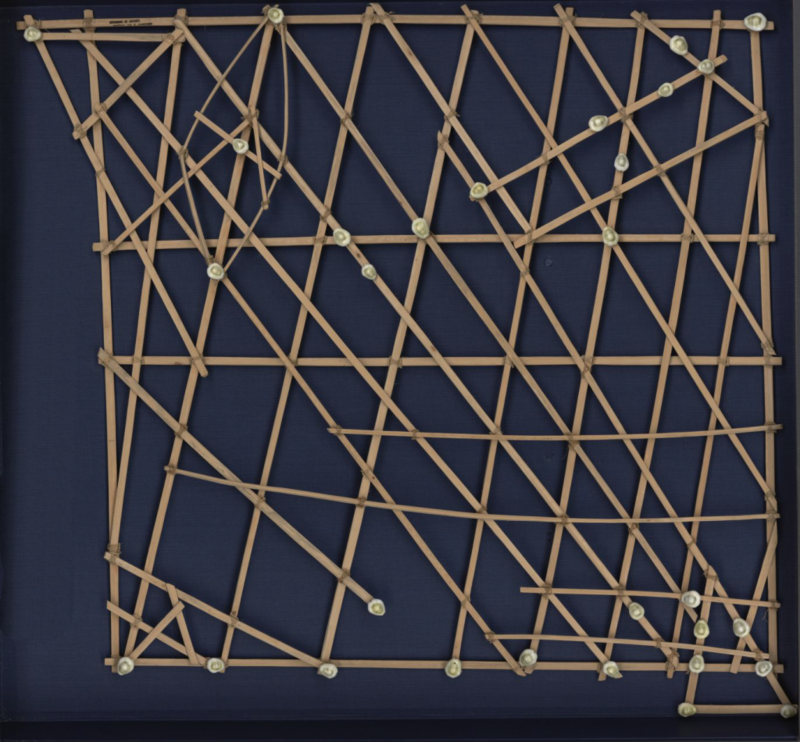 It’s doubtful any collection of cartographic design would be complete without some reference to Marshall Island stick charts. They represent perhaps one of the finest examples of form and function in map design. These navigation charts represent a system of ocean swells and the way in which islands disrupted the swells. 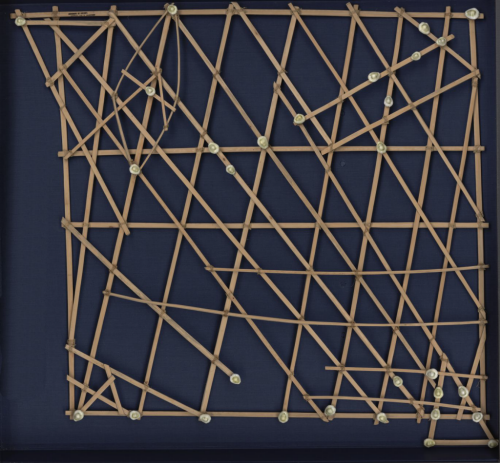 They allowed the Marshallese to paddle by canoe between islands using these maps to aid their choice of route. The charts were made of coconut fronds tied together to create a framework that represented the predominant direction of wave crests. Islands were represented by shells tied to the framework. 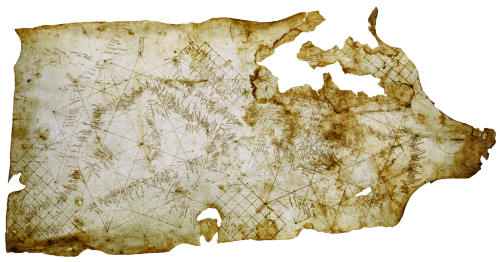 Of course, there was no uniform system of design or construction but these were an early form of personalised mapping. 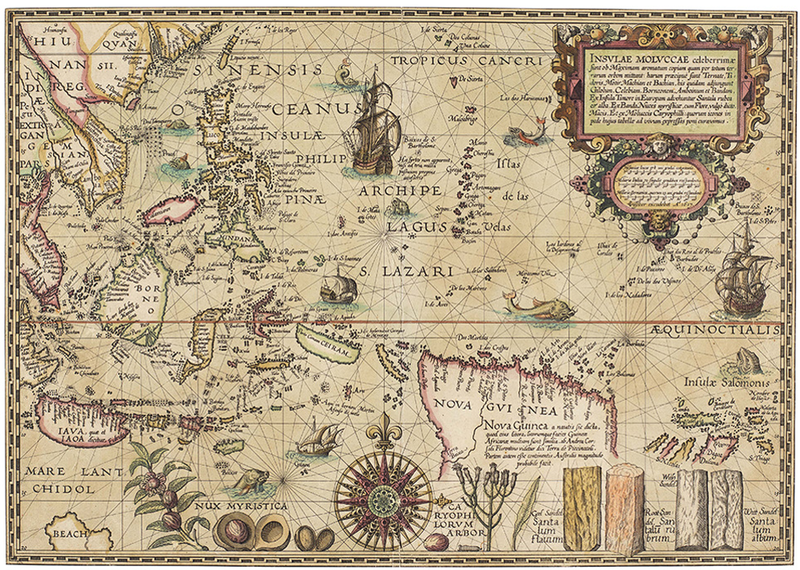 The map-maker knew the ebb and flow of the seas and created a physical representation of their mental map. Ironically, though the materials were perfectly suited to the wet conditions, being entirely waterproof, they were not used en route. They were more commonly consulted prior to a journey and committed to memory, with the canoeist laying in their vessel to understand how it was interacting with the swells to determine their course. 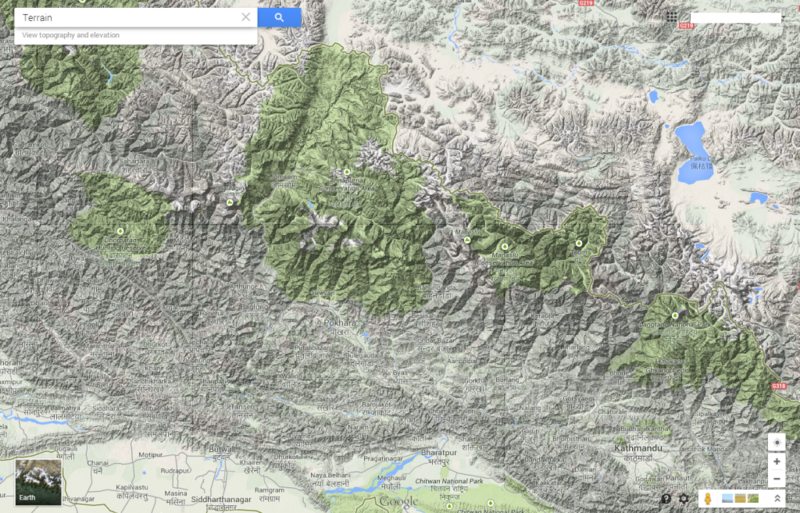 Map-making doesn’t have to be complex. Simple tools. Simple representations and a single, uncluttered theme. 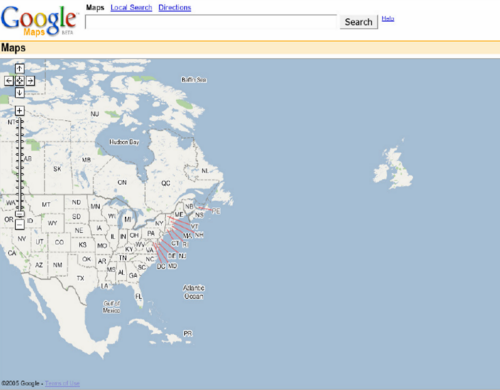 These charts are the epitome of cartographic simplification. All unwarranted detail is omitted. their form suits their function perfectly. 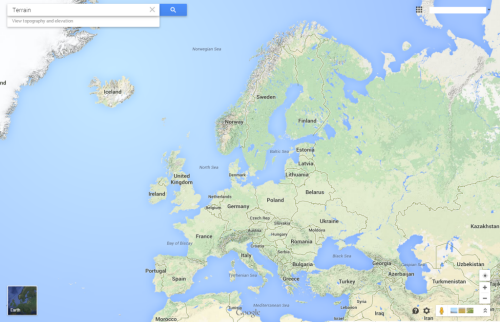 The form of a map goes a long way to defining whether it is well designed but rarely is a well designed map devoid of function. The balance between the two is likely harmonious if we see beauty in the form and function. Sometimes the simplicity of the function defines the form itself and beauty is derived largely from how the map is designed to work. 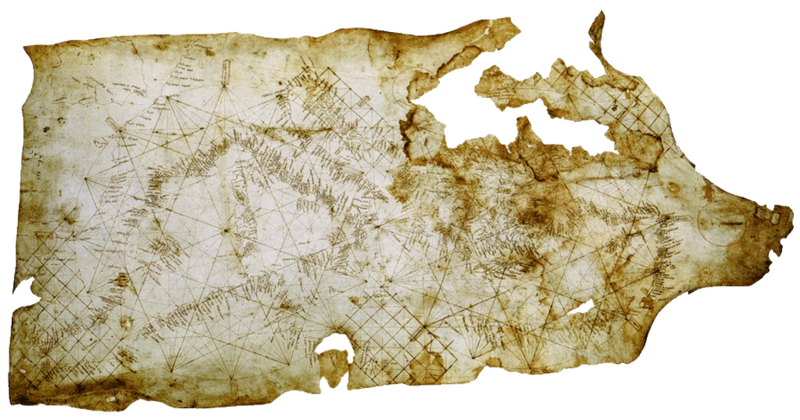 This is certainly true of the Carte Pisane, the world’s oldest known portolan chart. Derived from the Italian word Portolano, or port, this map is designed to allow mariners to navigate between coastal settlements. Their construction is simple, being based on the use circles, lines and grids with numerous compass directions. Coastlines and names were added according to known compass directions so the map’s appearance is strictly according to the knowledge of compass and wind direction between two ports. 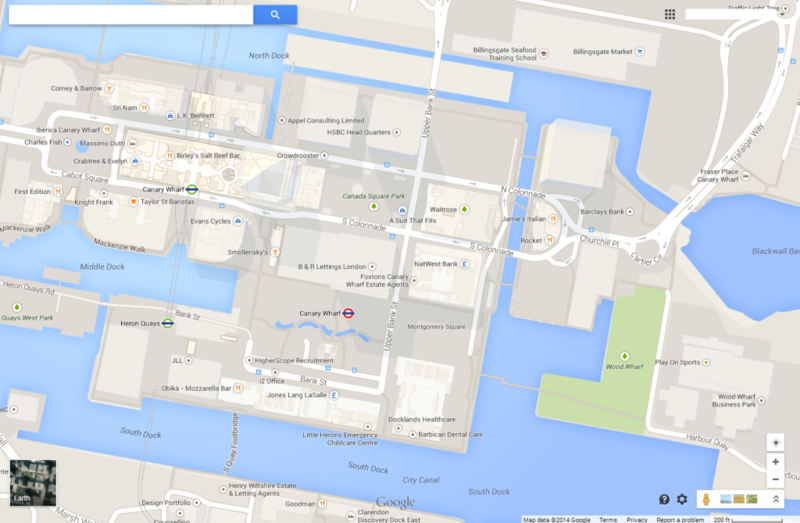 It’s a simple and ingenious approach to making a map to support one function – getting from A to B by sea. The shape of a coastline was accentuated by labelling the ports at 90 degrees to the coastline. There is little need for any interior geography and the commercial importance of various trading regions is clear given the relatively poor shape and detail of the British Isles. 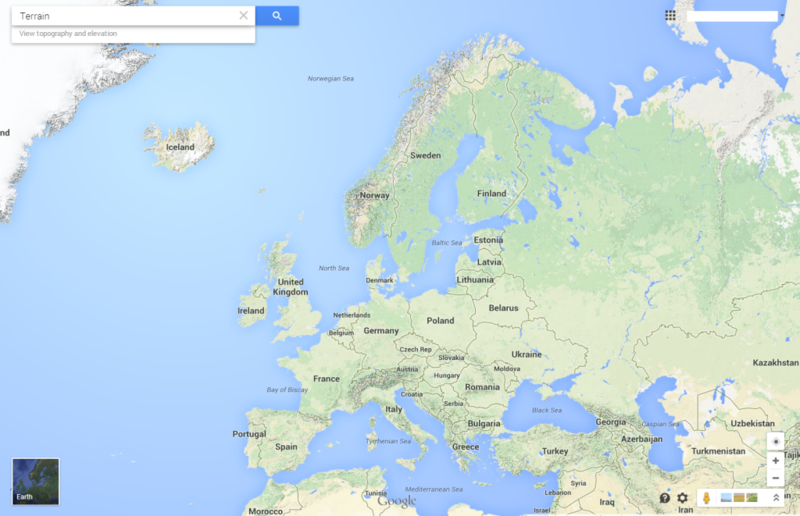 History can teach us much about map design. 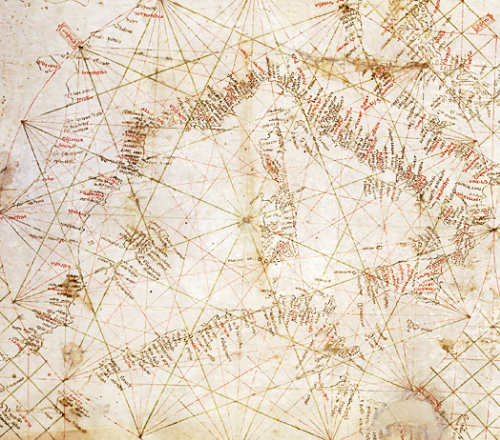 The portolan chart and Carte Pisane are exquisite examples of early map-making. Explore the sights, scenes and soul of the city. 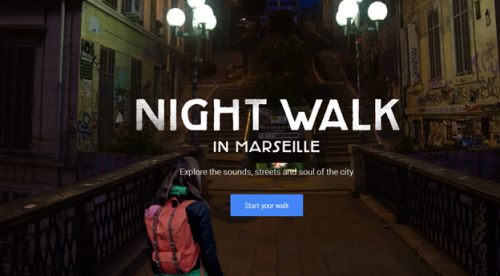 Of course, that might apply to any map of an urban area that is packed with dense, useful and interesting information but here, it’s the tagline for Night Walk, an immersive trail taken through Marseille. It’s actually a virtual tour with central characters, Julie and Christophe, who narrate and guide as you explore the environment. It deals with the micro-scale in the sense that you follow them on a trail through the vibrant Cours Julien neighbourhood. This experiment in virtual mapping may not have worked as well in a mundane or somewhat featureless area but with interesting street art and various characters we meet along the way it’s an ideal medium in which to give the map user a tour. Here, the fact that the experience is imbued with characters all adds to the character and personality of the experience. The two are intertwined so we see some of the individuals and their own take on the place which translates into our own experience. 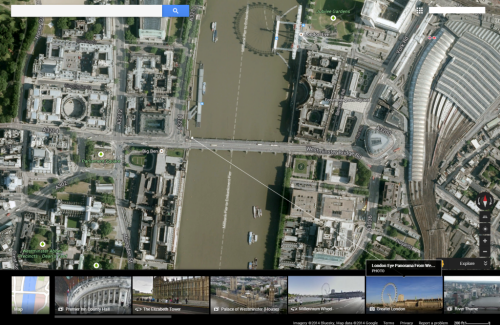 Technically, this is a Google experiment that shows the streets using 360-degree photosphere imagery, stitched together perfectly and enriched with photographs, video, sound and a plethora of interesting facts. 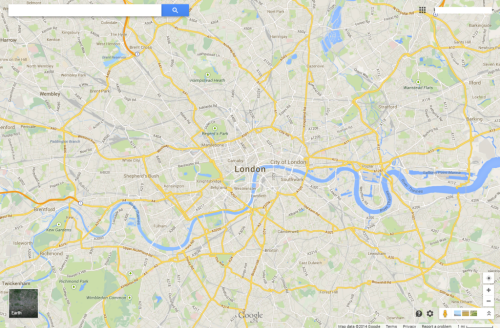 It’s built upon a customised Google Maps framework and if you use the mobile version then the Location API is harnessed to provide you with location specific information unique to your own location. Whilst being guided, you get a sense that you are experiencing something unique to you (even though you are not) and that you are seeing aspects of the environment that may be difficult to convey using a more traditional map. 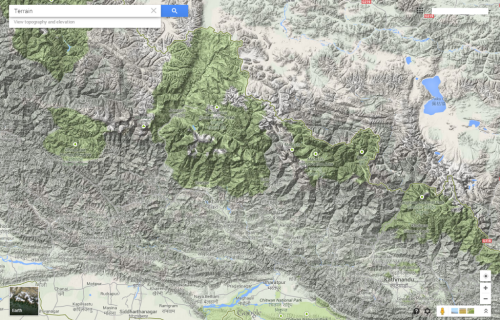 This latter aspect is certainly true and begins to show how maps can take fundamentally different forms to that which we are used to, in order to tell a story in a more useful way. You are entirely free to explore by zooming, panning and clicking to unlock detail and moving ahead much as you would with Street View. 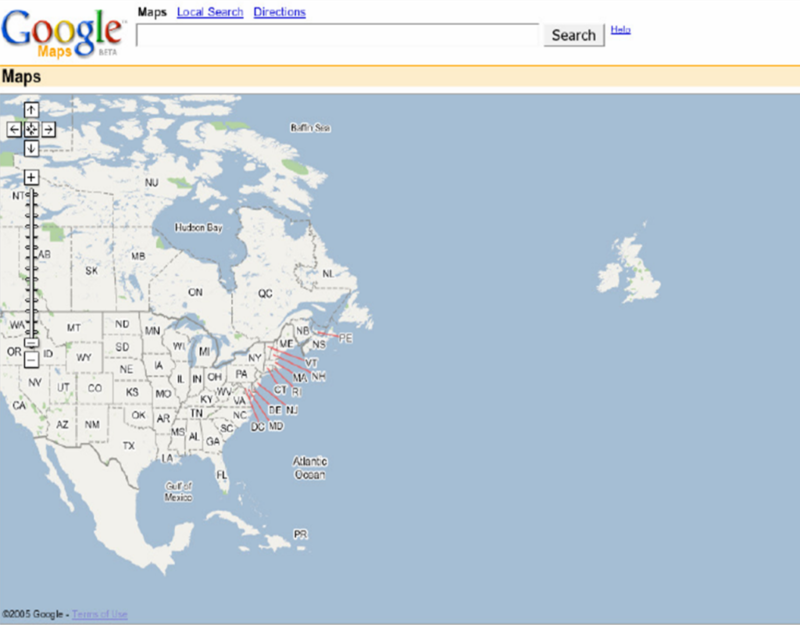 With this experiment, Google are showing us that actually, the abstraction of reality may not be the future of the map. Instead, we may be able to immerse ourselves into very real, macro-scale virtual worlds that don’t just show us a place, but allow us to experience it. They are becoming masters of pushing the boundaries of mapping and their experiments at the very least open our eyes to how we might represent places in different ways to achieve different aims. 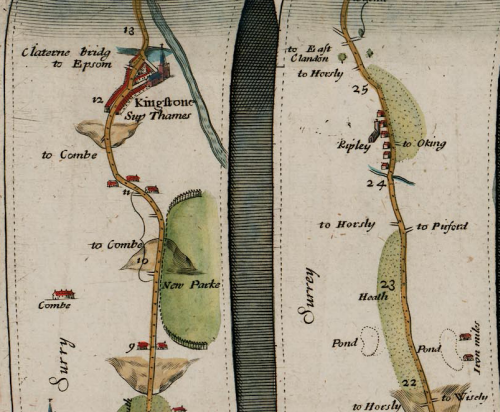 In 1674 translator and publisher John Ogilby was appointed as His Majesty’s Cosmographer and Geographic Printer and published Britannia, a road atlas of Great Britain, in 1675 which set the standard for many years to come. The atlas contained 100 strip maps accompanied by text at a scale of one inch to one mile. The scale was innovative for the time and later adopted by Ordnance Survey in its first (one inch to one mile) map series. Ogilby’s maps are a linear cartogram and north varies between strips. People can orient themselves in the direction of travel regardless of the true direction. The scroll effect suggests their use for navigation as if they were to be opened and used on the journey itself. The lines have been necessarily straightened to fit into each strip but the essential details along the route are maintained. Features are artistically represented but all have a practical value and a great deal of extraneous detail is omitted. Hills are included, oriented to depict whether you would be ascending or descending depending on the direction approached. 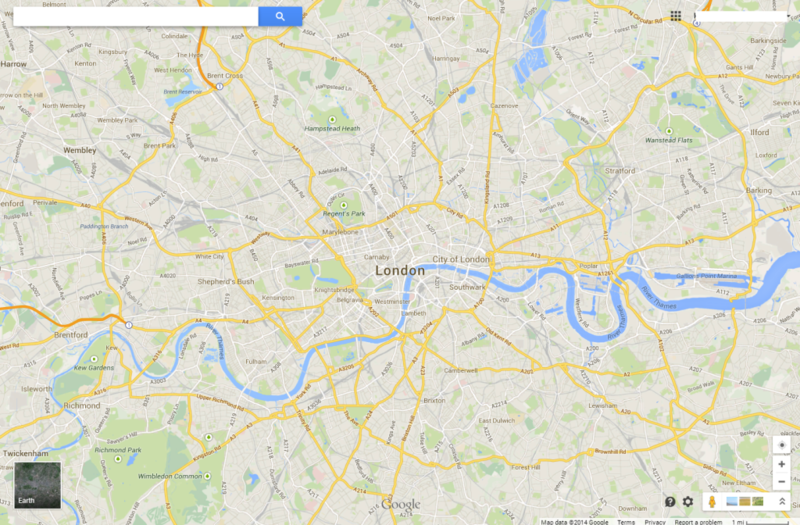 Distances are included as well as place names, illustrations of villages, towns and forests. The maps, marginalia and cartouches are particularly ornate and typography also includes flowing ascenders and descenders. 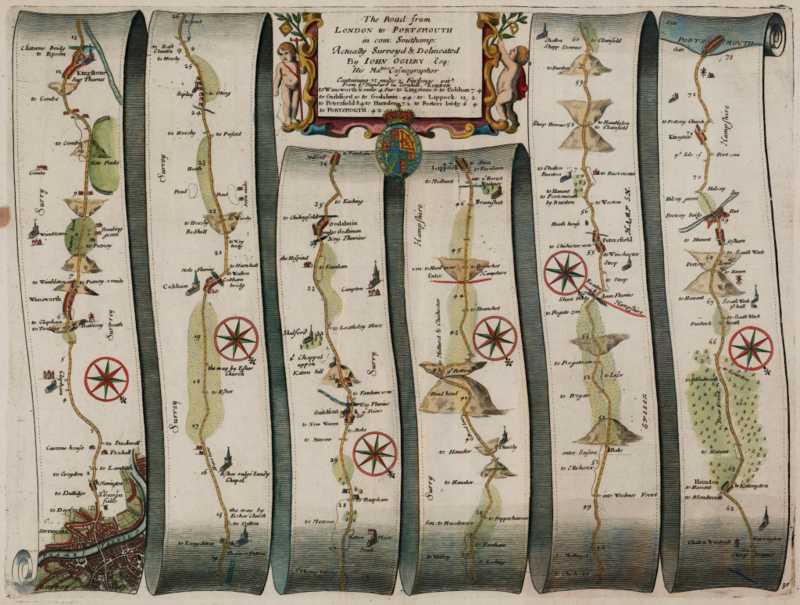 Ingenious for its time and a style still used today to show the linearity of route networks (e.g. motorway networks) in many street atlases. Certainly, the use of straightened lines has become a very familiar cartographic approach for depicting transport networks with subway maps being perhaps the most abstract.